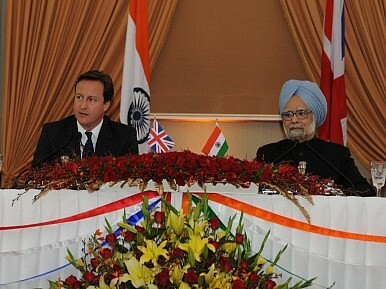 Many criticized British Prime Minister David Cameron for not apologizing for the Jallianwala massacre. Sumit Ganguly and Jennifer Lind on why they’re wrong. When David Cameron visited the city of Amritsar last month and paid homage at a shrine commemorating the victims of a 1919 British military massacre, the world spent more time discussing what the British prime minister didn’t do rather than what he did. Coverage of Cameron’s visit buzzed about the fact that he had not apologized, and commentators debated whether or not he should have. But relative to official apologies, Cameron’s effort to acknowledge and learn from the past offers a better model for countries struggling to move their relations forward. The Jallianwala massacre, in which British soldiers opened fire on 10,000 Indians engaging in a peaceful protest, was easily one of the most reprehensible moments of British colonial rule in India. Even the hard-headed imperialist, Winston Churchill, declared it “shameful” and a “monstrous” event. In its wake, the great Indian poet and writer and subsequent winner of the Nobel Prize for literature, Rabindranath Tagore, renounced the knighthood that he had received from Britain. The prevalence of such views in Indian commentary draws attention to painful, lingering memories of colonial rule. Even as India has long embraced Westminster style democracy, takes pride in its vast literary output in English and is an active member of the British Commonwealth, some of its memories remain fraught and its wounds raw. Aside from the horror of Jallianwala Bagh, Indians still recall the rank callousness, if not actual complicity, of British colonial authorities that caused the deaths of several million souls during the Bengali famine of the early 1940s. Indeed recent historical scholarship has demonstrated that even minor governmental actions could have prevented substantial numbers of the deaths.